whitewolfowner - I really appreciated your breakdown essays... they helped teach me a lot!! BTW- What is a "Nikon TC 1.4 AF-S 14E III teleconverter"? Is this something that I'm going to want for my long-range shots? I already bought the Nikkor 24-120 lens with my D750, so if I then get the Nikkor 200-500 lens... will that 120-200 gap be a major issue? As I will probably have these lenses for a VERY long time... I would rather pay the few hundred more if it is that much sharper, better, and/or easier to use... and will last me the years of good service that I will need from it. The Nikkor 24-120 is supposed to be an exceptional lens... and when combined with the camera body as a kit... it only raised the total price by $500... instead of the stand-alone price of $1,020 (not much spare money when you only getting military disability, so I need to save where ever I can... but still get good quality). I'm planning on probably having a total of three lenses... the Nikkor 24-120 (above); a prime lens that's good for my (infrequent) portraits and/or macro (can they do both? ); and a Telephoto for wildlife/landscape. What size do I want on the prime to best match up my FX? 35? 50? 85? 110?... I only know that I think I want the F to be 1.4 or 1.8 for a limited depth of field... right??)... and then a very sharp, very long range, Zoom Telephoto... preferably up to 500 or 600 (and it needs to be relatively cheap... as I will never be able to afford a $6.5k lens unless I win the lottery... or even $3k). I've read about some issues with the SB-700. Is it a great flash... or should I stay away from it?? Thank you... I really appreciate all your inputs! How is the quality of the Sigma lens (glass, motor, etc) as compared to the Nikkor lens... better... equal... less... much less?? OK... I have an update for those that are following my rants. I finally ordered my brand-new and first ever DSLR camera today... hurrah!! Thanks to the advice here, through PM's from whitewolfowner, and just doing lots of research and thinking... I had narrowed it down to Canon 6D vs Nikon D750 (full)... or Nikon D500 vs Canon 7D vs Canon 80D (crop). Since I am looking at getting into very low light, landscape, and wildlife... I decided to go with a full frame (although the D500 was very hard to pass over) and then finally settled on the D750 (as many here had suggested) with the AF-S NIKKOR 24-120mm f/4G ED VR lens. a nice extra bonus is that the camera will come with the free MB-D16 Multi Battery Power Pack. As soon as I can I will get the SB-700 AF Speedlight and a telephoto lens to pretty much complete my set! Any suggestions on the telephoto? I'm thinking maybe the AF-S NIKKOR 200-500mm f/5.6E ED VR or the AF-S NIKKOR 80-400mm f/4.5-5.6 G ED VR. I think 6.5 FPS will be plenty enough for me. I have to go to Portland for a pre-surgical appointment on 09 Dec 2016 (oh well... yet another surgery), so I will try to get to that Pro Photo that afternoon. Thanks. I agree with you completely about the D500. I have a D750 and love it, but do drool for a D500 also; finances are the only thing between one and my camera bags. I did not suggest the D500 to OP for two reasons; one, he wants to do a lot of low light shooting and for the money, the D750 is the clear winner and DX cameras biggest weakness is low light noise and secondly the OP is interested in doing landscape photography and wide angle shooting is hindered by DX sensors that require special lenses to get really wide, plus, landscape shooters tend to enlarge their images to good size prints, again the full framer is their friend. So, for the type of shooting he wants to do, he s much better with a full frame sensor. If he wanted to excel in wildlife and sports and nothing more, I would recommended the D500 for sure. He has done research, found the advertising to not be a great help and determined the D750 is probably the one he wants and I agree with him; I feel he was able to sort thought the hype and found his model. I'm not sure what OP is, but I'm assuming that it's me in this case. All of what you say is correct other than maybe a question about what is considered "Good sized prints"(?). I don't see myself going bigger than 11x14 (for now at least... however, I'm still at the crossroads and researching what to get!! Any word on a new FX with all the speed focusing benefits of the D500? A new D750 maybe?? I also am having a hard time understanding the 1.5 crop thing and how it affects the lenses... I've never heard anything about this before. Yeah... I kinda noticed that about the Exchange... and they don't even have the D500 yet so that I can even price it! I really appreciate everyone hospitality here... and information. I am hoping to pick up something... maybe during the Black Friday Sales since the Exchange is no help. I'm wondering if the benefits of a faster DX might be better for me than an FX... especially after some of you have said there was no noticeable picture quality loss. I'm not planning to become a professional photographer... especially doing portraits... I much prefer real life and candid shots where people are themselves. I would love to sit down and chat with some pros to be able to take better pictures after I finally get my starter gear. The Canon 7DMII is one of the cameras that I'm looking at... but don't know about the 5D. Isn't the a99 a mirror-less? My classes will require a DSLR, so anything else would not be accepted. I know for sure that I will be getting a DSLR (that specification is specifically required for class). We will also be learning to make our own B&W prints. I'm not sure of the benefits of Fx vs Dx though... was my earlier thoughts accurate about an FX (Full Frame) giving you a cleaner picture? I can't find much about it other than that the CMOS is almost double sized and that many Pro Photographers insist on it. 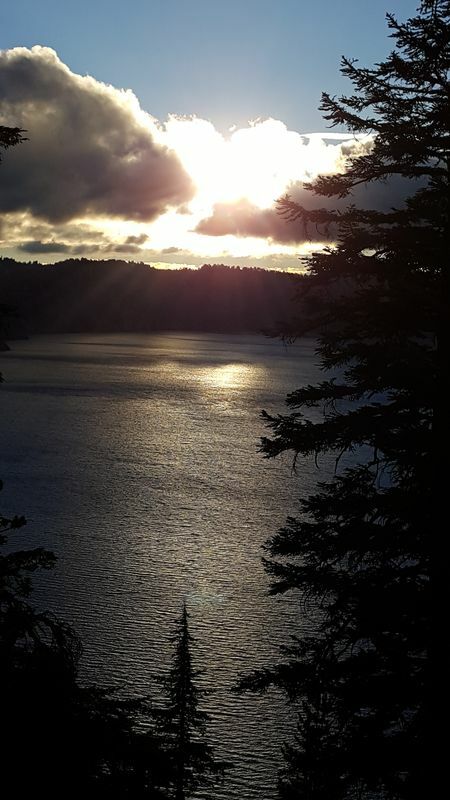 A couple pictures at Crater Lake with my (ugh) cell phone... which I thought actually came out pretty good. First off... thank you all for your responses... and for the Veteran's Day thank you. I will address these in reverse order if ok. My college specifically states that I need to provide all of my own equipment... so no help there, but I don't mind so much as I would hate to learn a piece of equipment then have to give it back. I am looking at getting the camera on/before Black Friday as I want to get (somewhat) used to "my" new camera prior to Christmas when I go to Las Vegas to meet up with my kids and grandkids there. My photo experience up to now is exclusively with my Galaxy Note 5 (phone)... but don't throw rocks... I'm working on upgrading and improving that now with research and coming on this site asking questions. I understand that most people will say start small... then upgrade. As this is probably a one time deal for me (I've been saving for a long time), I need to get my final level camera (body) from the start... so I'm trying to think of everything that I will want to do with it (which is hard at my experience level... or lack of). I'm looking at about $2000 (a bit more if I can get it through the Military Exchange) From what I understand... a full frame has a larger CMOS so gives much cleaner pictures at the same resolution... (one of the reasons I'm looking at the D750)... is this correct? I'm more interested in quality than brand, but I want to be able to shoot action (two running 2 year olds and more), low light, portraits (of family), and landscapes... so basically everything right!! I'm figuring on getting the body, two lenses (approx 25-70 w/ low fstop and a 100-300 Telephoto), a flash, and a tripod, and a bag (or a kit with it all together). 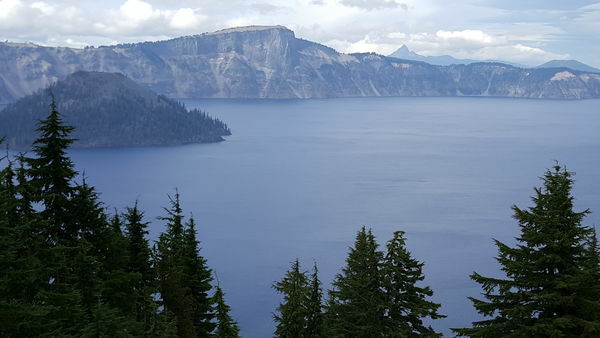 I really like being outdoors (to the extent that I can be), so the majority will probably be landscape (Crater Lake, coast, old boats, show vehicles, ect). Again, any help is greatly appreciated. I am a US Marine that was seriously injured in Iraq... got retired... healed as much as possible... and am now a fairly new college student (Fall 2014) for the first time ever. I'm taking a higher level photography class next term to really learn about photography, how to use cameras properly, etc, etc, etc. I will be needing to buy a good DSLR camera for the class in the very near future. I can only afford to buy a camera once... and I have no idea what to get (the camera ads might as well be in a different language). I know that I like fast action... and tend to be in lower light situations often. I will also be want to be able to take high quality family pictures (new grand-daughter is due in February). I have big hands and fingers, so something small would probably not work very well. Also, I will probably be taking a lot of outside pictures... in Oregon... so being somewhat water (rain) resistance would definitely be helpful. It is said that there are a lot of very professional photographers on this sight... and I need your help. I am maybe looking at the Nikon D750 or the Cannon EOS 7DMII... but the Cannon doesn't have an articulating display which I would like (for pictures with my arms stretched up)... and I don't know the difference between those and a Rebel at $1000 less. I have access to the Military Exchange system, so hopefully it can save me some money when I get it. I am open to any camera advice given and will greatly appreciate it. Thank you.